Will the next generation of hot lid please stand up? 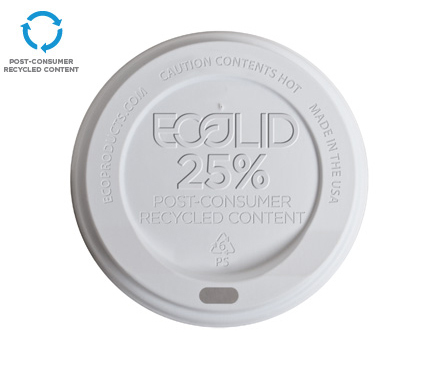 Let's hear it for the EcoLid® 25, the world's first post-consumer recycled content lid. Until now, most hot lids were made from unsustainable virgin plastic and made up a pretty heafy part of your coffee cups' footprint. Not cool, right? 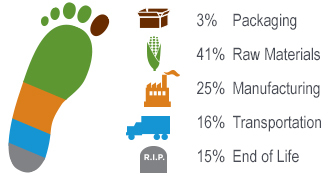 Now you have a better choice, one that uses less virgin plastic and helps divert waste from the landfill. Very cool. Top off our 20 oz insulated hot cups with this 25% recycled content hot cup lid.